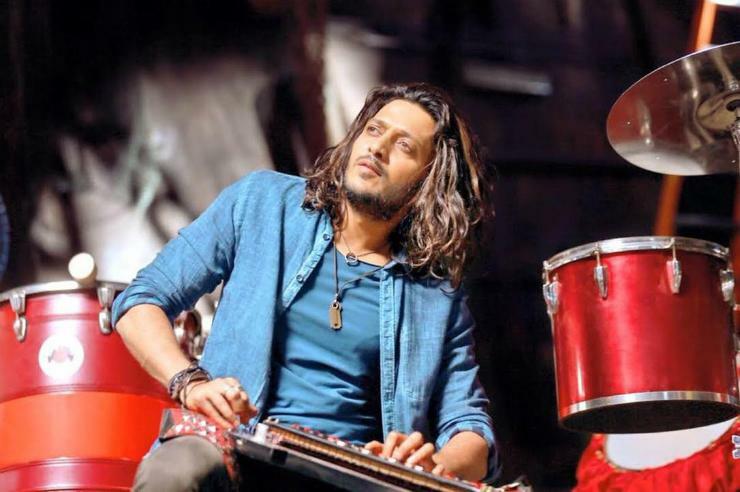 Banjo actor Riteish Deshmukh is seen sporting long tresses for his character as street musician. What’s even more exciting is that for the very first time he will be seen playing a fully fledged Maharashtrian guy in a Hindi movie. Banjo flourishes with the outstanding dialogues like ‘Zindagi Do Option Deti Hain, Bajo Yaa Bajao’ and‘ Kab Tak Bajayega Dusre Ki Dhun, Kabhi To Apne Dil Ki Sun’! Banjo is all about the journey of musical Maharashtrian band players. Despite of numerous youngsters involved in it, how this art has been neglected as a professional front. It is journey in which someone crosses seven seas to meet the desired dream. Orchestrated by destiny, the leading lady Nargis Fakhri who plays DJ from US meets Banjo in Mumbai. The film captures every minimal aspect of their journey, from the way they rise and stumble yet how they with stand the storm. Renowned Marathi director Ravi Jadhav, who is popularly known for the movies Natarang, Balak-Palak, Timepass, traces the story of Banjo players and the deteriorating relevance of art. The film will have six songs on the music of Ajay Atul. Ravi Jadhav pulls the expectations with his upcoming movie really high! Not just the director but even the super hit Marathi film Lai Bhari actor Retiesh has already won hearts from Maharashtrian lovers. Banjo starring Riteish Deshmukh, Nargis Fakhri, directed by Ravi Jadhav, produced by Krishika Lulla.